Ride along in this video as we drive from Holetown, Barbados to the Mount Gay Rum Distillery in Bridgetown. It’s about a 16 minute drive as we pass by Sandy Lane (island home of Rihanna), Paynes Bay, Fitts Village, Brighton Beach, and Brandons Beach. As you may notice in the video, roads in Barbados are mostly pretty bad, filled with pot holes and dangerous drops on the sides of the road. As you can see in this video, Highway 1 is a pretty narrow two lane road badly in need of repair. There is also a shortage of sidewalks, so it can be dangerous for pedestrians, and drivers need to take extra precaution. 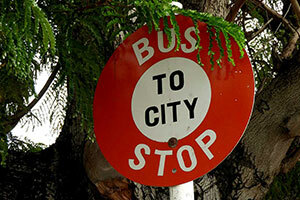 Barbados has a pretty good public transit system with buses running routes all over the island. You’ll notice many blue (Government run Barbados Transport Board buses) and yellow (privately owned mini-buses) on the road and generally there’s not more than a few minutes wait at the many bus stops for the more popular routes. And get this… it’s only a BDS $2 ($1 USD) fare to ride the bus on all routes. Catch any of the Bridgetown buses from Holetown for a short ride to the Mount Gay Distillery. 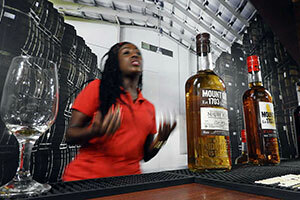 Discover the secrets behind Barbados’ finest and most celebrated spirit with the Mount Gay Visitor Experience. There are five experiences to choose from, the Signature Rum Tasting, Full Signature Rum Tasting, the interactive Cocktail Tasting, the Rum & Food Pairing Experience, and the Lunch Experience featuring a Bottomless Rum Punch Station. With each experience you will learn the history of Mount Gay Rum as you take a journey of Mount Gay’s rich heritage and the time proven craftsmanship of the world’s oldest rum. 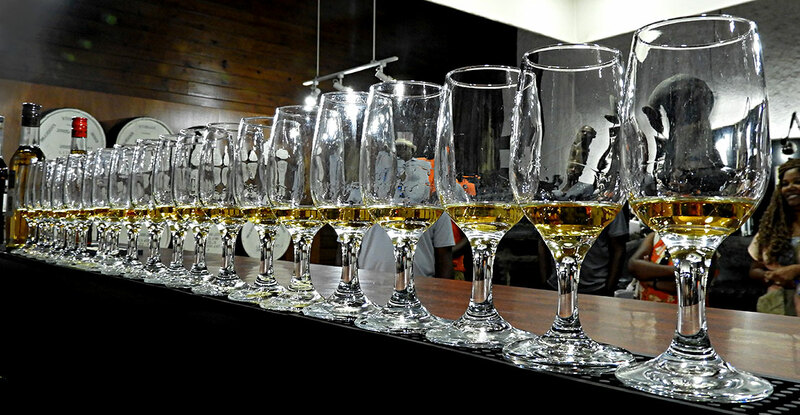 I chose the Signature Rum Tasting experience when visiting the Mount Gay Distillery. At the beginning of the tour we were greeted with a wonderful Rum Punch as our guide explained the history of Mount Gay and introduced us to their brewing process. Next, we watched a short video that again told of the history of Mount Gay and more details of the distillation process. Here’s an apartment with balcony, near Kensington Oval. Each apartment features a balcony or patio and space to spread out with a separate bedroom, a living room, and a dining area. Each apartment also includes a ceiling fan. Free WiFi in lobby and free parking. Here’s another 2 or 3 bedroom apartment with an outdoor pool and pool sun loungers. Kitchens are outfitted with full-sized refrigerators/freezers, stovetops, and microwaves. Complimentary wireless Internet access keeps you connected. Conveniences include safes and coffee/tea makers, as well as phones with free local calls.